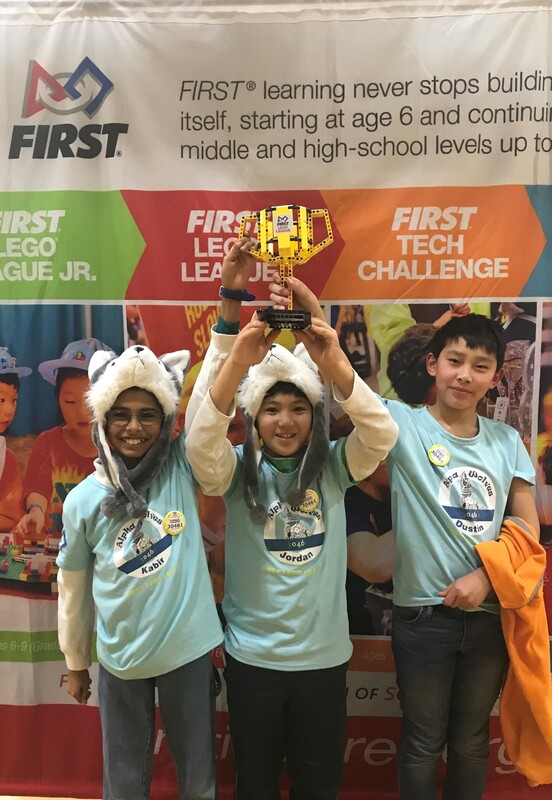 At the NorCal FIRST Lego League Silicon Valley Championship in late January, a team made up of Harker sixth graders Jordan Labio, Dustin Miao and Kabir Ramzan – known as Alpha Wolves – took first place among the 35 teams at the event. The team’s robot performed exceptionally throughout the competition, scoring the highest two runs (one with 285 points and another with 265) and being the only robot to score more than 200 points on all four of its runs. Competition was fierce, as each team at the tournament had qualified by finishing in the top three at other local events. This win puts Harker’s team in the running to compete against other regional champions from across the world. The Alpha Wolves’ next event is the Northern California FLL Innovations Expo in March, which the team was invited to attend after presenting a group research project at a previous event in November. Their project was one of 50 selected from 500 entries.